Determining a suitable design and means for implementing a program for benchmarking Southern Ocean ecosystems in 2022-23, taking account of existing activities. Key concepts and possible conclusions, along with summary figures, tables and key references will be compiled in a compendium in advance of the conference. Presentations and posters are invited to contribute to these reviews and development of approaches to observing and benchmarking Southern Ocean ecosystems. Inquiries about presentations to this theme or possible contributions of summaries to contribute to the compendium in advance of the conference - go to the Contact page and send us your inquiry. Hofmann, E. E., P. H. Wiebe, D. P. Costa and J. J. Torres (2011). "Introduction to understanding the linkages between Antarctic food webs and the environment: a synthesis of Southern Ocean GLOBEC studies." Deep Sea Research II 58: 1505-1507. Schiaparelli, S., B. Danis, V. Wadley and D. Michael Stoddart (2013). The Census of Antarctic Marine Life: The First Available Baseline for Antarctic Marine Biodiversity. Adaptation and Evolution in Marine Environments, Volume 2: The Impacts of Global Change on Biodiversity. C. Verde and G. di Prisco. Berlin, Heidelberg, Springer Berlin Heidelberg: 3-19. Meredith, M. P., O. Schofield, L. Newman, E. Urban and M. Sparrow (2013). "The vision for a Southern Ocean Observing System." Current Opinion in Environmental Sustainability 5(3–4): 306-313. Constable, A. J., D. P. Costa, O. Schofield, L. Newman, E. R. Urban Jr, E. A. Fulton, J. Melbourne-Thomas, T. Ballerini, P. W. Boyd, A. Brandt, W. K. de la Mare, M. Edwards, M. Eléaume, L. Emmerson, K. Fennel, S. Fielding, H. Griffiths, J. Gutt, M. A. Hindell, E. E. Hofmann, S. Jennings, H. S. La, A. McCurdy, B. G. Mitchell, T. Moltmann, M. Muelbert, E. Murphy, A. J. Press, B. Raymond, K. Reid, C. Reiss, J. Rice, I. Salter, D. C. Smith, S. Song, C. Southwell, K. M. Swadling, A. Van de Putte and Z. Willis (2016). "Developing priority variables (“ecosystem Essential Ocean Variables” — eEOVs) for observing dynamics and change in Southern Ocean ecosystems." Journal of Marine Systems 161: 26-41. Xavier, J. C., A. Brandt, Y. Ropert-Coudert, R. Badhe, J. Gutt, C. Havermans, C. Jones, E. S. Costa, K. Lochte, I. R. Schloss, M. C. Kennicutt and W. J. Sutherland (2016). "Future Challenges in Southern Ocean Ecology Research." Frontiers in Marine Science 3(94). Gutt, J., E. Isla, A. N. Bertler, G. E. Bodeker, T. J. Bracegirdle, R. D. Cavanagh, J. C. Comiso, P. Convey, V. Cummings, R. De Conto, D. De Master, G. di Prisco, F. d'Ovidio, H. J. Griffiths, A. L. Khan, J. López-Martínez, A. E. Murray, U. N. Nielsen, S. Ott, A. Post, Y. Ropert-Coudert, T. Saucède, R. Scherer, S. Schiaparelli, I. R. Schloss, C. R. Smith, J. Stefels, C. Stevens, J. M. Strugnell, S. Trimborn, C. Verde, E. Verleyen, D. H. Wall, N. G. Wilson and J. C. Xavier (2017). "Cross-disciplinarity in the advance of Antarctic ecosystem research." Marine Genomics. In press. Constable, A. J., J. Melbourne-Thomas, R. Trebilco, A. J. Press and M. Haward (2017). ACE CRC Position Analysis: Managing change in Southern Ocean ecosystems. 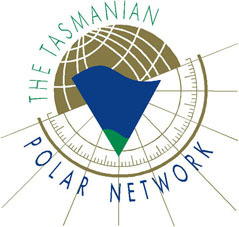 Hobart, Australia, Antarctic Climate and Ecosystems Cooperative Research Centre: 39 pp.